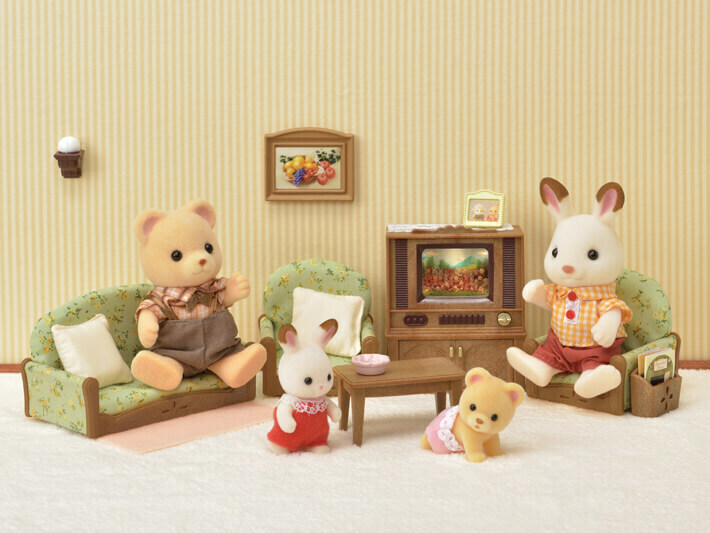 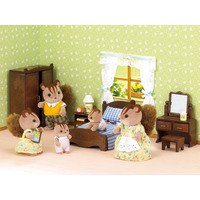 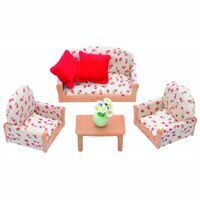 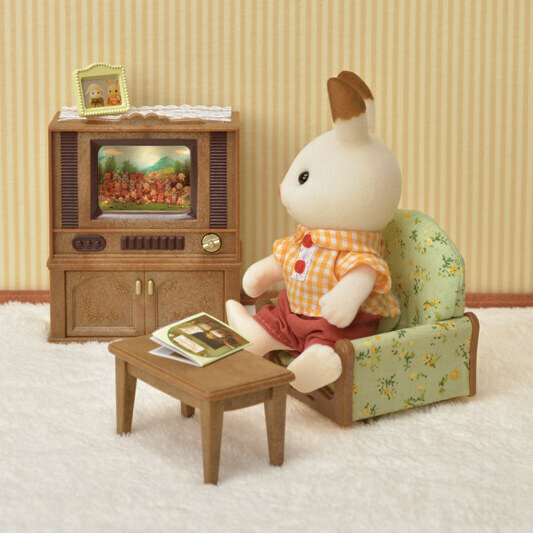 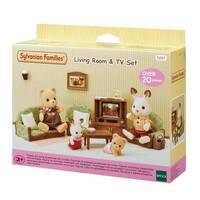 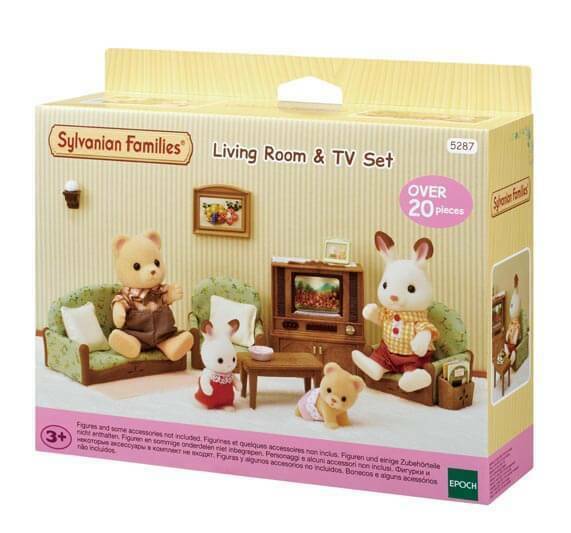 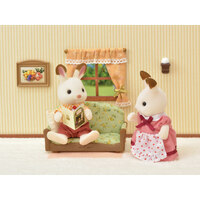 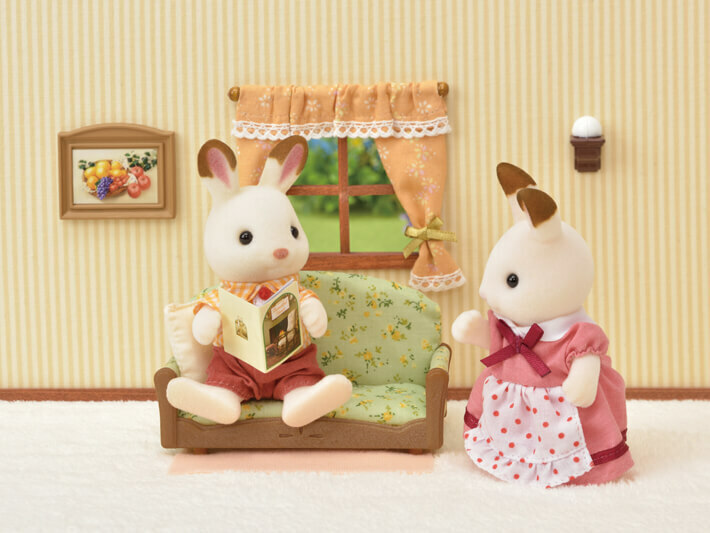 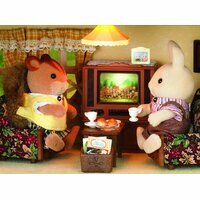 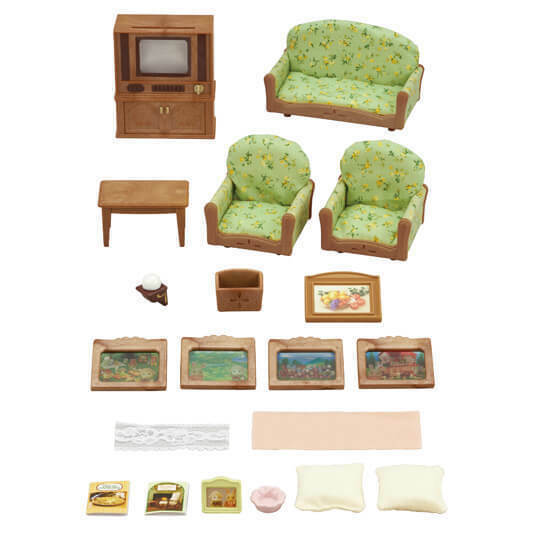 The Living Room & TV Set is a perfect furniture set to add to your Sylvanian Families house. 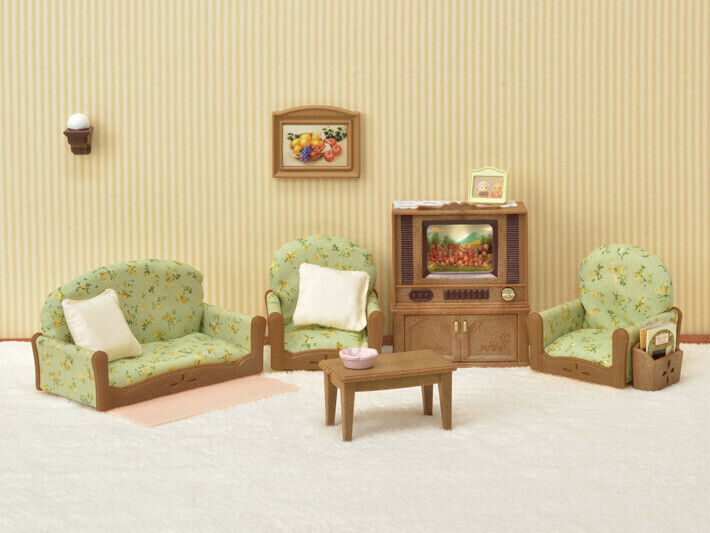 The set comes with a TV, sofa, armchairs, and table. 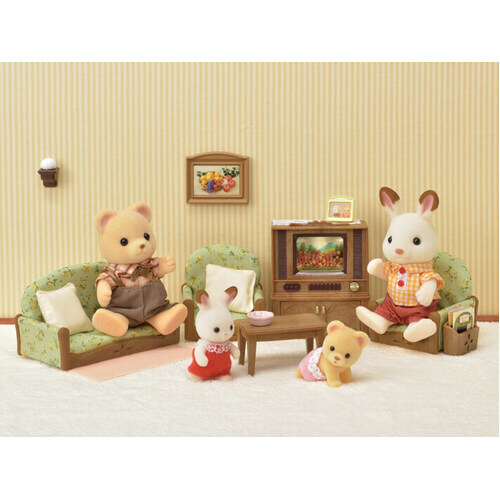 The TV lights up by turning the dial (requires two AAA LR03 1.5V batteries, sold separately). 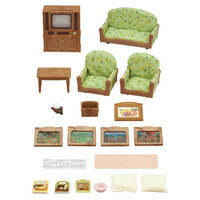 Accessories such as replaceable TV screens, cushions, a lamp, frames, and magazines are also included.